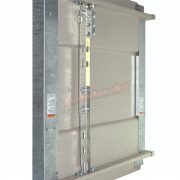 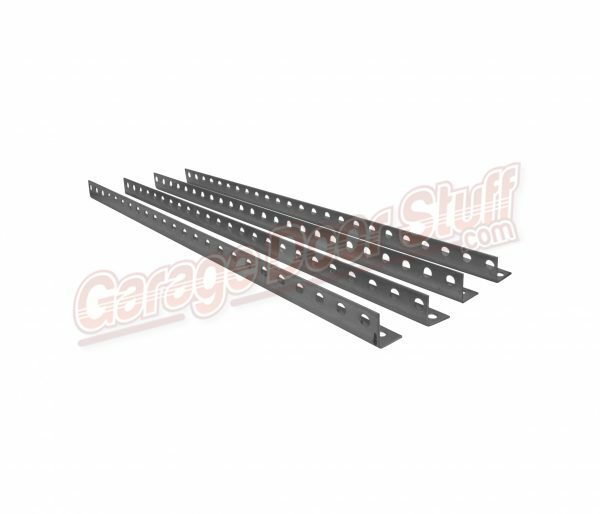 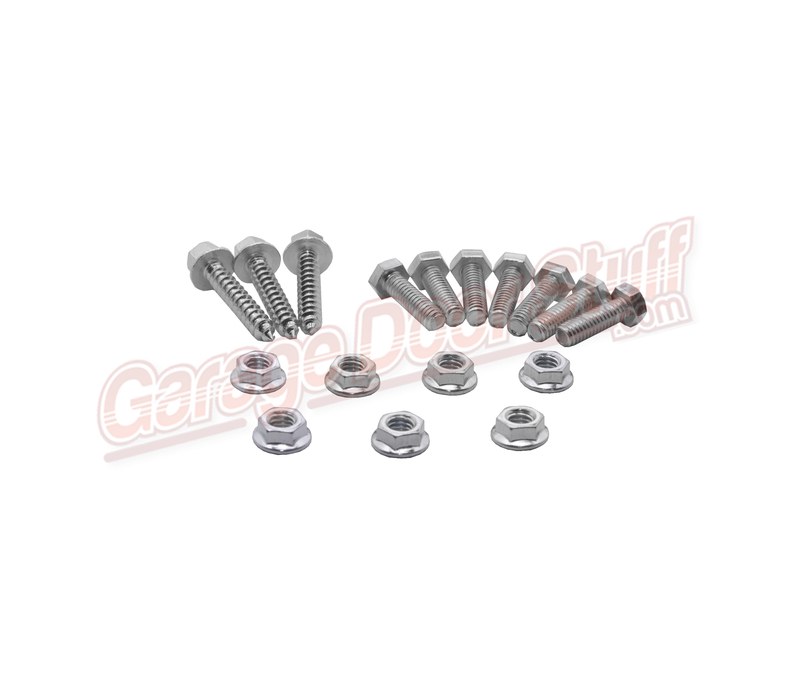 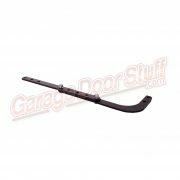 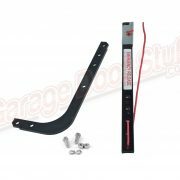 Typically the material supplied with garage door openers is light weight, flimsy and just not adequate to properly fasten the garage door opener to the ceiling. 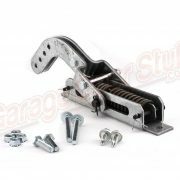 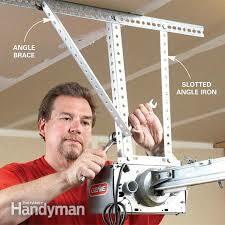 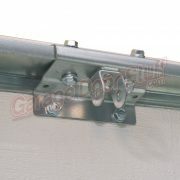 The photo above is the correct method of supporting and bracing your garage door opener. 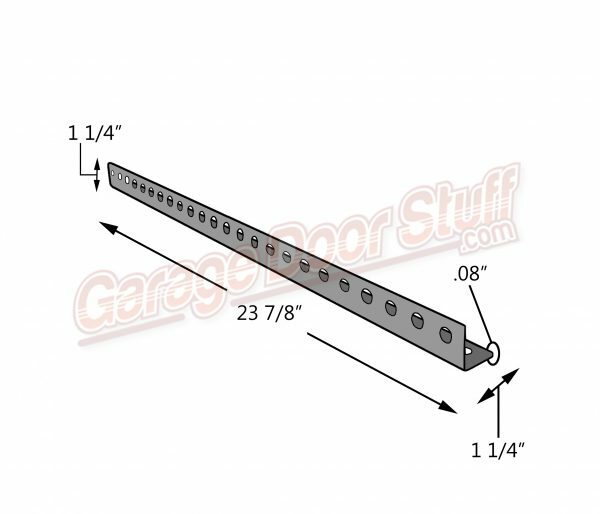 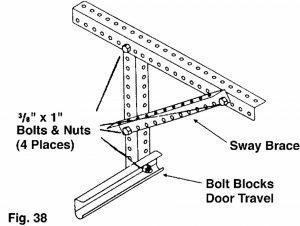 Span across the ceiling fastened to the joist, 2 drops from the span to the garage door opener and a brace placed at an angle to prevent side to side movement. 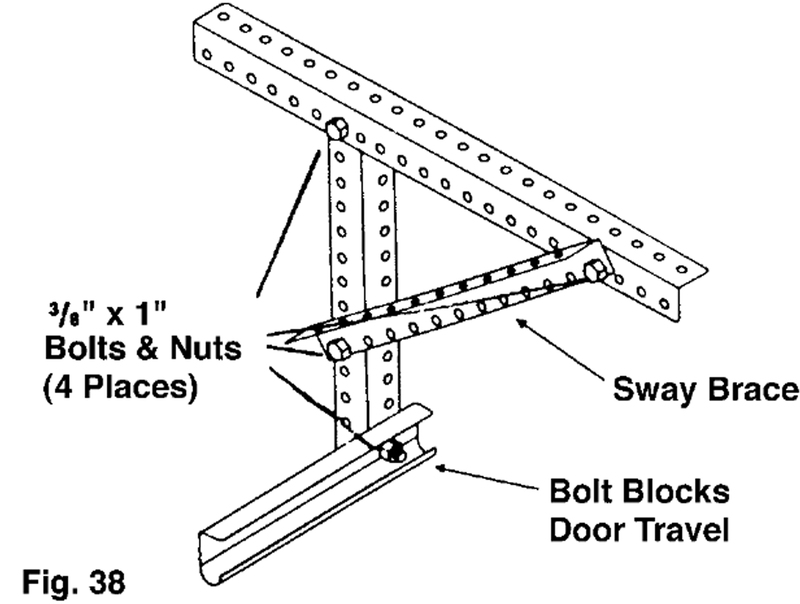 We include a 4th length of angle in case you need to extend either the drops of the span.